A trained archaeologist, Emma Faull graduated from St Hilda’s Oxford before spending five years with the British School at Athens. 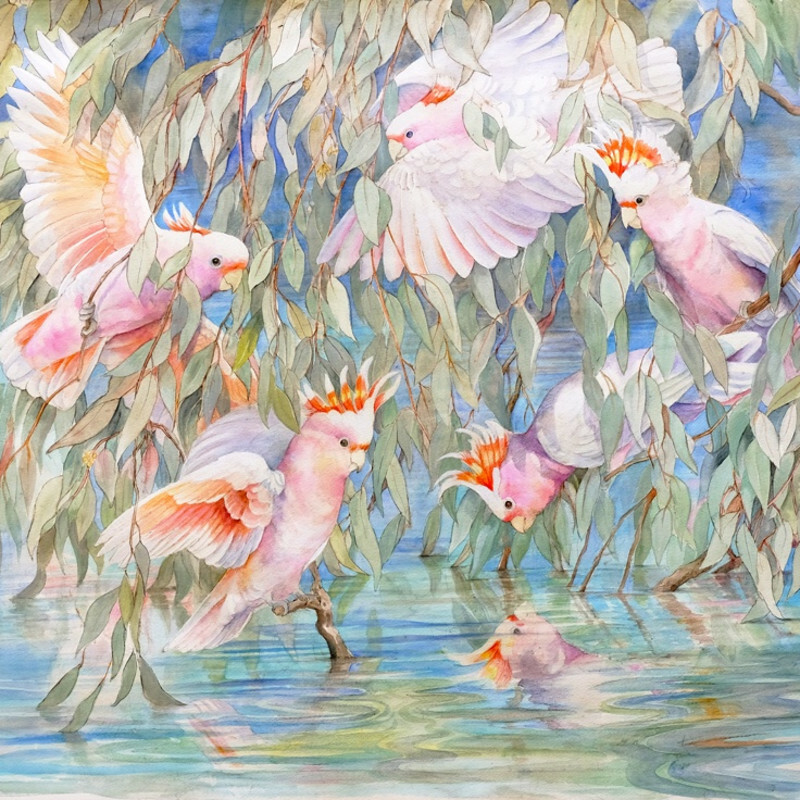 As a painter, Faull specialises in watercolours of birds, portraying ornithological detail as well as the immediacy of birds in the wild. Her work is often highly decorative and emphatically colourful. Faull has held over twenty solo shows worldwide, including four at the Tryon Gallery. Her paintings are in many permanent collections, including the Audubon Society in the USA and the National Museum of Athens. HM the Queen and the Duke of Edinburgh are keen collectors of Faull's work, possessing over a dozen of her paintings. Faull is a passionate conservationist, and this informs her art, with endangered species being well represented in her work. She lives in Jersey where she carries out work on endangered species for the Durrell Wildlife Conservation Trust; she also returns to teach in Greece every year, and runs workshops on endangered species focusing on Aldabra in the Seychelles.